Need Cadillac keys made? This service is one of many you’ll find available at Door N Key Locksmith. We have all the equipment and training to make keys for any Caddy, regardless of which model you drive. Call us when you demand superior service from licensed, experienced locksmiths who care about your needs. Our fast response time is only one of the ways that we cater to our customers. We think you’ll appreciate our professionalism and attention-to-detail, not to mention our broad menu of services. We never close and provide services 24/7. Lock and key issues do not wait until daybreak and we don’t wait this long to provide help. Cadillac drivers need a new car key made for many different reasons. Perhaps you want a second or subsequent set of keys for a family member or friend. Did the ignition key break? You obviously need a replacement (and a repair!). Has the key been lost or misplaced and you simply cannot find it? We’ll come to the rescue no matter what has caused the need for a new key. 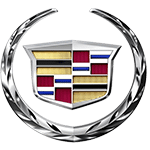 We can make keys for all models and years of Cadillacs at a price that you’ll appreciate. It is just one of the ways we’ve made so many customers happy over the years.